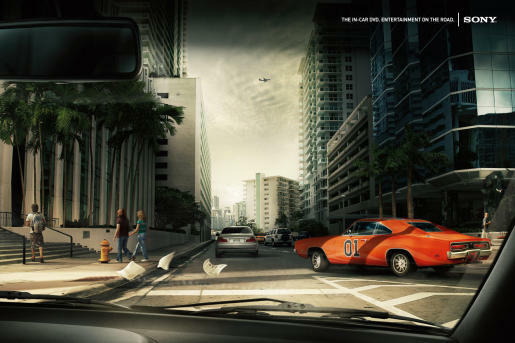 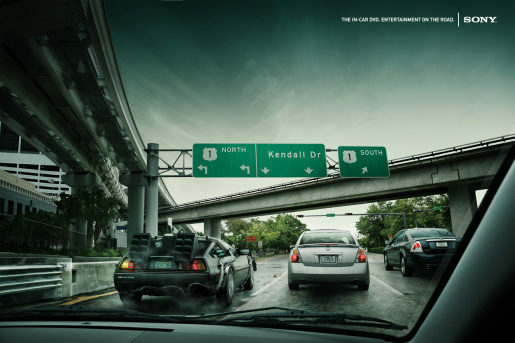 Sony’s InCar DVD Player was promoted in an award-winning print advertisement from the United Arab Emirates, featuring well known cars from movies: The Delorean (Back to the Future), The General Lee (Dukes of Hazard), Kitt (Knight Rider), Herbie (The Love Bug) and Mystery Machine (Scooby Doo). 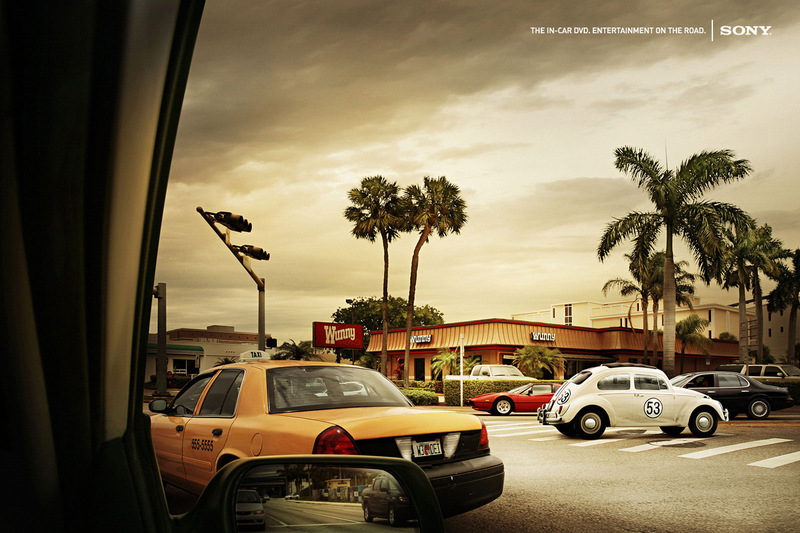 “Entertainment on the Road”. The campaign won Gold at the Dubai Lynx Awards in 2008. 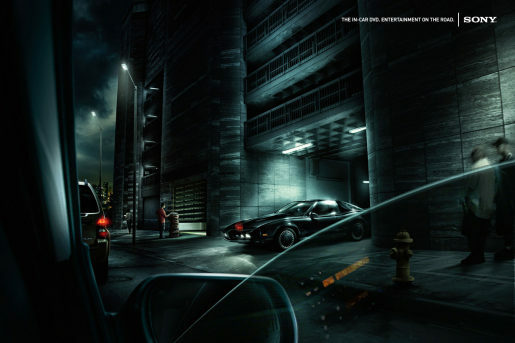 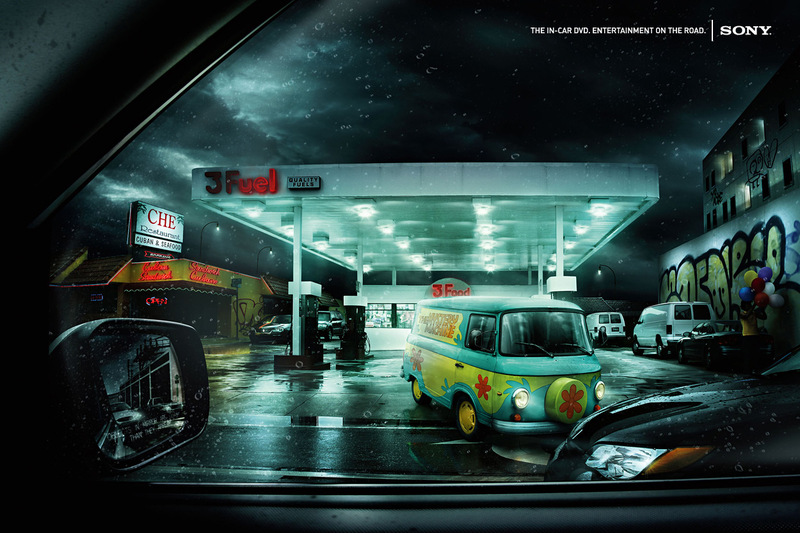 The InCar campaign was developed at Fortune Promoseven, Dubai, by executive creative director Marc Lineveldt, creative director/copywriter Ali Ali, copywriter/art director Maged Nassar, photographer Jaime Mandelbaum, illustrator Furia, art buyer May Farhat, account supervsior Irwin Pinto, advertiser’s supervisor Fukushima Ruysuke.